Buckhorn, separates Upper Buckhorn Lake and Lower Buckhorn Lake which includes Deer Bay on The Trent-Severn Wateway route running from Lake Ontario to Georgian Bay. Buckhorn, separates Upper Buckhorn Lake and Lower Buckhorn Lake	which includes Deer Bay. 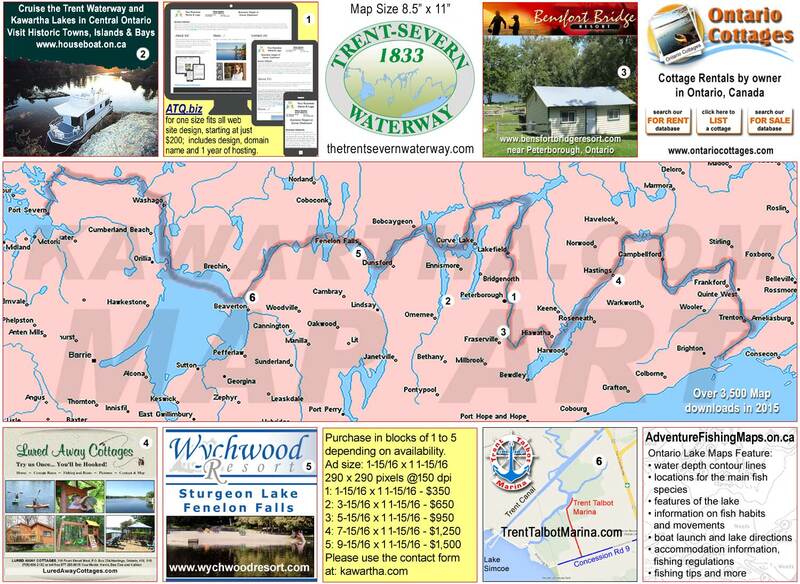 From Buckhorn you will travel down Lower Buckhorn Lake to Pigeon Lake and Bobcaygeon. Here you may take a side trip to side trip to Bridgenorth near the end of Chemong Lake. Where Buckhorn Lake meets Chemong Lake is Curver Lake.